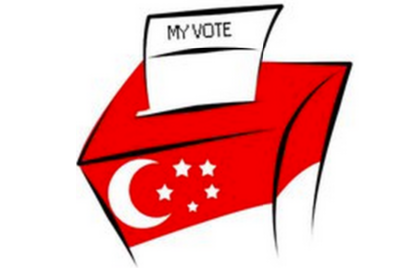 Today, 11th September 2015, is a big day for Singapore and all Singaporean as the result of today's voting might change the direction (to better or worst) of Singapore's future. We (my wife and me) woke up earlier and done my part in the Polling Station, in less than 10 mins, we've cast our vote. 1. Comes tomorrow (or early mid-night later), there will be a bunch of citizens in ecstasies and another bunch of people in tears (either out of joy or defeat), and yet another bunch of people feeling nothing at all. Whatever the outcome, life goes on and whoever win, our lives will not be changed overnight and we should still continue to live our life on our own accord instead of too reliant on what the Government (old or new) can help us. We are the captain of our own future, not the Government. 2. From the past 2 weeks, if you are an active user in the social media (especially Facebook), I am sure you will witness many sharing on the Rallies, grievances and trolls (for both from Ruling Party and Opposition Parties) from your friends. Through the sharing, you can roughly gauge who they are supporting. Of course, we all have our rights to support the party that we deemed worth supporting, but whoever we are supporting, don't expect miracle to appear within the next 5 years, in the sense that all issues/problems we faced today will suddenly disappear! There is no such thing as the Ruling Party (whoever it will be for the next 5 years) are also normal human being that cannot create miracles. Again, we are the captain of our own future, not the Government. 3. The best policy that will really change your life will never be the Policies introduced (or to be introduced) by the Government. In fact, the best policy that you should be seriously look into is to INVEST in YOURSELF via education and continuous learning. Again, we are the captain of our own future, not the Government.